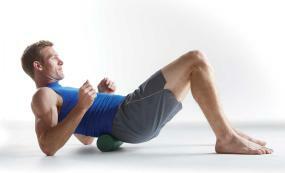 Gaiam Restore's Compact Foam Roller is small enough to go along wherever you go. 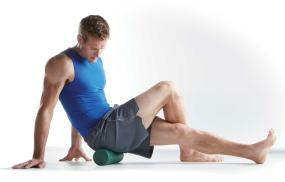 This foam roller helps improve flexibility and range of motion, while decreasing muscle pain and soreness. 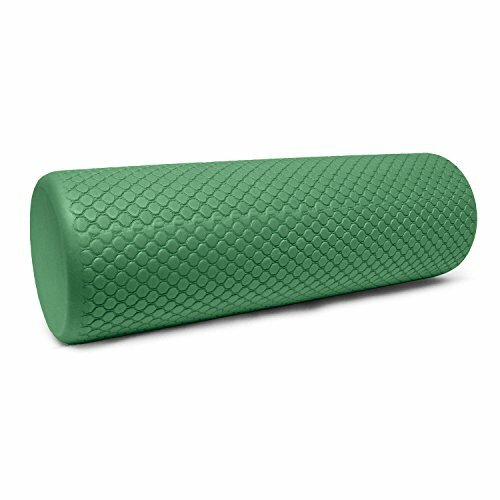 Lightweight and compact, it makes the perfect on-the-go travel companion to help loosen stiff,sore, tight muscles. Works the upper and lower back, calf, hamstring, glutes and quads. Perfect for developing core stabilization, lower body balance and stamina. Utilize your own body weight to determine how much pressure is good for you. Gaiam was created as a lifestyle company with the vision that, given a choice, people would choose a lifestyle that is healthy and life enhancing, for themselves, their families and the Earth. The Gaiam lifestyle is a vote for individual health as well as the future sustainability of the Earth's resources. Gaiam strives to provide customers with alternatives to traditional products by offering natural, or healthy versions that compare with the style, quality and price of conventional products. Gaiam's goal is to become the trusted source and unifying brand for Lifestyle of Health and Sustainability (LOHAS) participants. They understand that the opportunity to affect people's lives with information and products is both a privilege and a responsibility. Gaiam believes in the concept of Conscious Commerce, the practice of making purchasing decisions based on personal values and beliefs. It takes into consideration all the aspects of our lives and the impact we have upon the planet. Research indicates this concept appeals to approximately 50 million people in the U. S. alone. Gaiam's strategy in delivering the distinctive quality for which they are known is to partner with experts in health/wellness, eco-living and personal development to develop proprietary products that meet our customers' needs with meaningful solutions. The name GAIAM is a fusion of the words Gaia (the name of Mother Earth from the Minoan civilization in ancient Crete), and I am reminds us that we are all interconnected with the Earth, the air and water, and very much a part of this living system that sustains us all. View More In Foam Rollers.